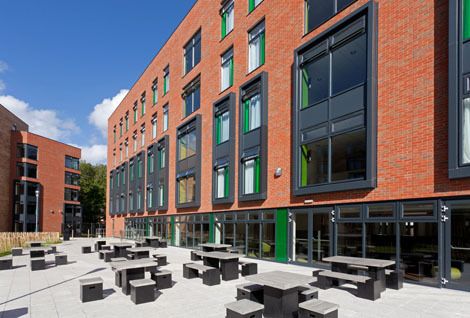 One of Leeds University’s largest sites with over 700 students, Leodis is an attractive, modern complex. Located just a 10 minute walk from the University and a 15 minute walk from the city centre, the majority of rooms are en-suite. 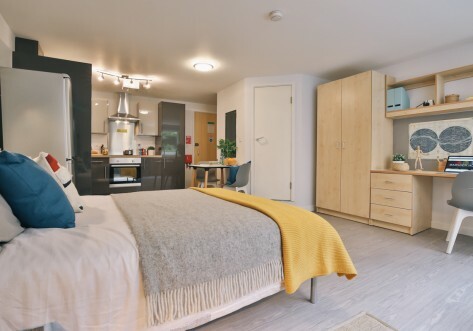 Leodis offers lots of social space, including a common room with satellite TV, DVD player and pool table, as well as its own outdoor picnic and BBQ area. 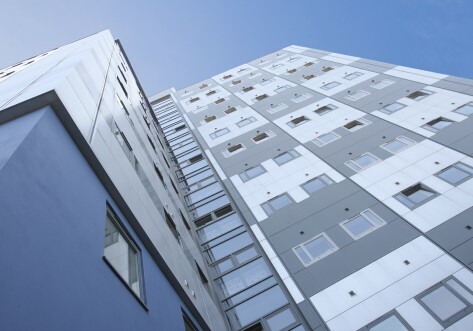 Housing both undergraduates and postgraduates, Leodis has dedicated 51 week contract areas for postgraduates needing accommodation over the summer, as well as 42 week contracts for undergraduate students. Just a short 10 minute walk to the University campus and 15 minute walk to the city centre, Leodis is in a residential area of Leeds. 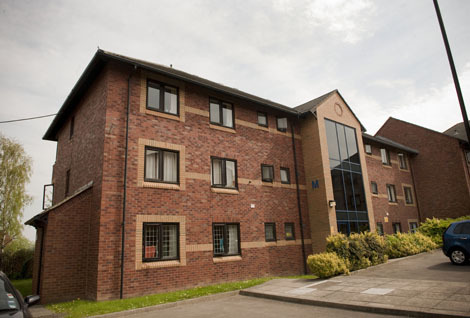 Close to Montague Burton and with over 700 students, Leodis is well placed for university life. Leodis is a modern complex with 700 rooms organised over nine blocks - A to J (with no block I). Most kitchens are shared between five or six rooms, and all rooms (except 4) are en-suite. Lifts are available in every block, except Block A which is a mill-conversion. Rent includes all utility bills (gas, electric and water), internet in your room, IPTV, contents insurance cover and Edge Club sports membership. All blocks have been recently refurbished, and all rooms have ¾ double beds.